Songs of My Healing . . .
By now, no doubt, you have heard the music playing in the background on the Home page. These songs hold a very special and dear place in my heart. You can find the link to my full story HERE; but God used these songs to bring life back to my body. To this day I still cry every time I hear them played. I pray that you will let them bring comfort and healing to your soul as you peruse my site. 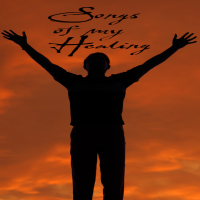 NOTE: You can listen to these “Songs of My Healing” on the blog but you CANNOT download them. If you try your computer will disintegrate. I’m not kidding … and my friends will disown me.